The SQ-N150 utilizes four EL84 tubes and 2 ECC83 tubes, all from JJ Electronics. It’s a 10W push-pull design with three line inputs, plus an input into a MM/MC phono stage. 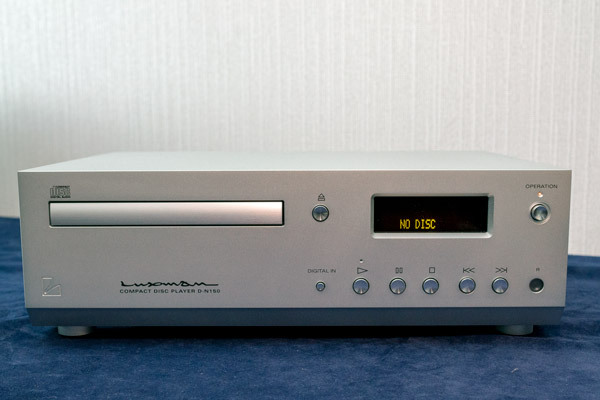 It has a headphone output, and it utilizes a standard Luxman remote control, either the one included with the D-N150 CD player or the optional RA-25. The D-N150 features Luxman’s own transport mechanism. Digital outputs and inputs add versatility. A remote control is included. 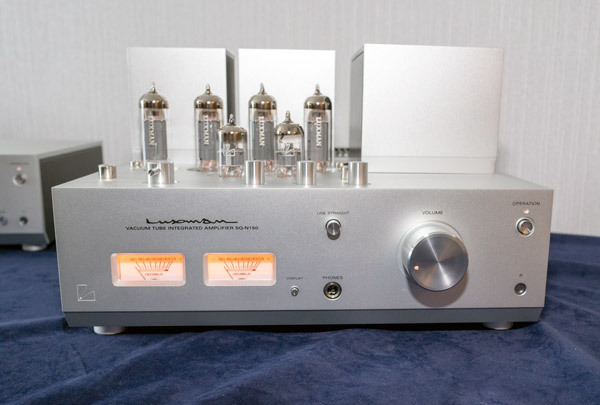 These new components were on static display, but in the neighboring room of the Luxman suite, fine sounds were emerging from the Triangle Magellan Cello loudspeakers ($13,000/pair) via Luxman’s L-509x integrated amplifier ($9495) and the E-250 phono stage. 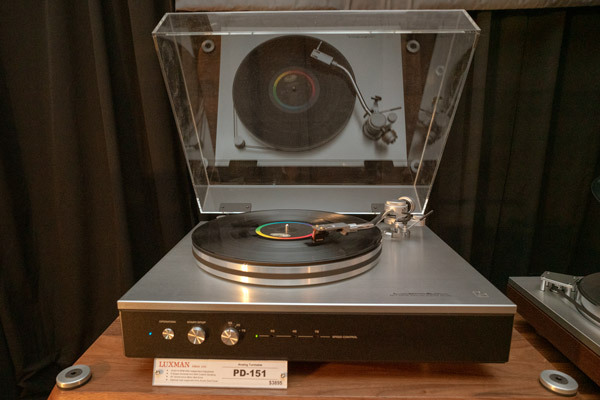 The source was the new PD-151 turntable, which comes with a custom tonearm from Jelco for $3895. An Ortofon MC Cadenza Red ($1300) was mounted. I didn’t hear it, but also in the system was the Melco N1ZH60/2 Music Server, which has dual power supplies and comes with 6TB of music storage. Cabling was from Luxman.